Complete food for older and overweight dogs. 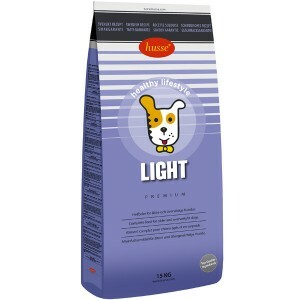 Husse Light is the ideal food to keep your dog’s weight under control. Light contains less fat and calories than other foods but still meets all the nutritional needs of your dog. Also suitable for older dogs and for inactive dogs with a low energy need. Free from colourants. 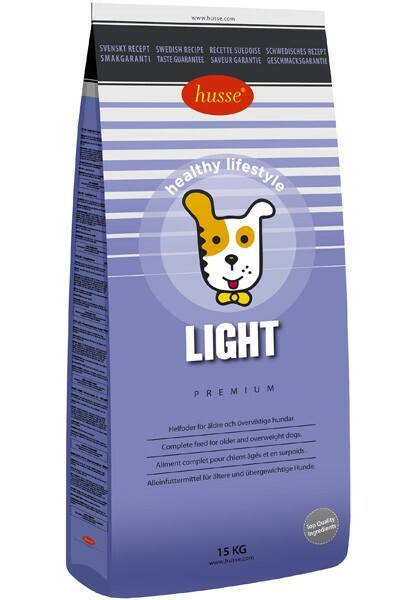 Low energy content and presence of slow release fibres make Husse Light particulary suitable for dogs with diabetes. Dogs with Diabetes should be fed smaller amounts of food throughout the day (4-5 feeds).